What you I find in the panel? Monthly summary of @Sotrender profile in Twitter Analytics. The second tab – Tweets allows you to go deeper into results. You can sort by the type of tweet, select a specific date range or export data into a csv file. 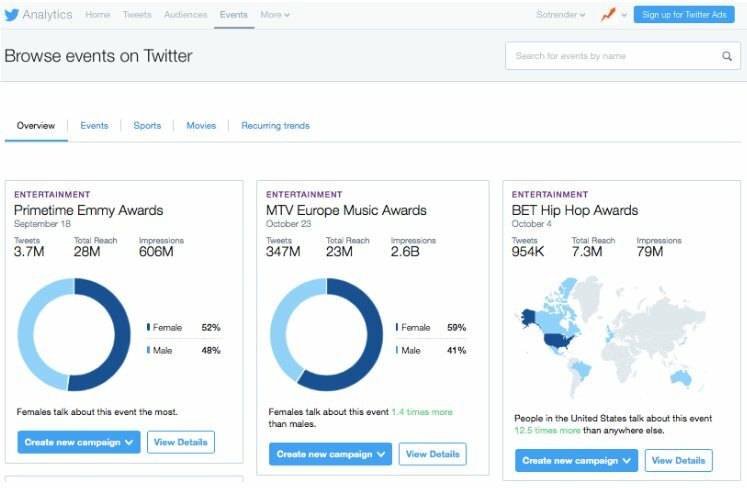 This dashboard will contain both organic and promoted tweet results. 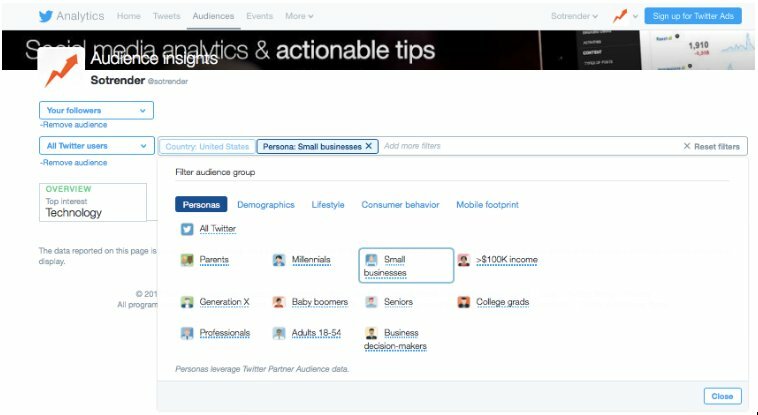 Twitter Analytics contain Audience Insights tool which allows you to compare user groups. Event targeting on Twitter is easier thanks to a summary of the previous year along with highlights. Top tweets for 2015 Emmy’s Awards. 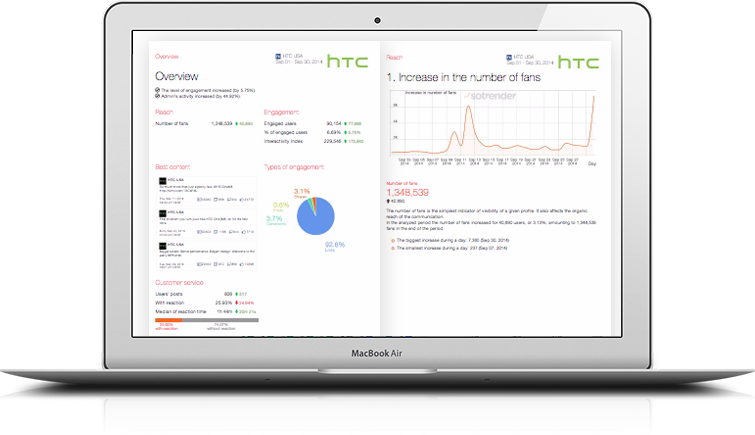 The last element of the menu contains analytics for: cards, videos (beta), apps, and web tags. Cards tab in Twitter Analytics. If you’re using Videos in communication, detailed info about their performance and completion rate can be found in the Video tab. App manager and Conversion tracking are mainly for advertisers. These tabs are used to properly set up a connection between an app/website so Twitter can track the results of an ad. 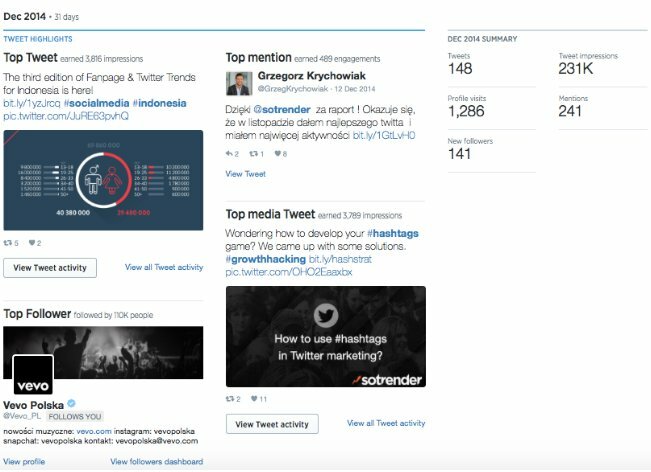 Twitter Analytics is a great tool to start measuring the effects of your activity. It will help you understand what kind of tweets work for your business, who actually pays attention to them, and what you can improve. For more sophisticated analytics, custom reports, the ability to benchmark or other solutions, you can look at external tools like Sotrender.